Relatively little is known about the youth of Andries de Rosa. 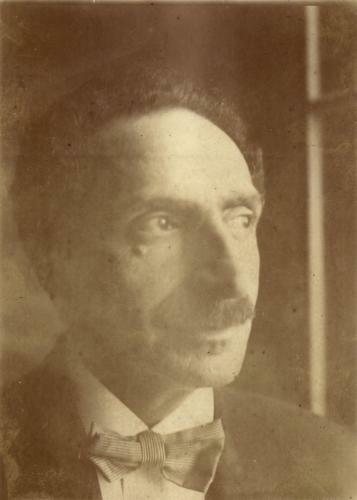 It was a modest environment, the Jewish quarter of Amsterdam, where he was born on April 4, 1869, as the sixth of twelve children. His father Gerrit Andries was a tailor, mother Vrouwtje a milliner. After primary school he was trained to become a diamond cutter, a profession that didn’t suit him well. Music was closer to his heart. He started at an early age; as autodidact he taught himself the tricks of the trade. Around 1893, De Rosa went to Paris to pursue a career and make a living as musician. Working as correspondent for art magazine De Kunstwereld and with the publication of his pieces for violin and piano, just barely paid the bills. Under the pseudonym Armand du Roche he continued composing various instrumental and vocal pieces. De Rosa wrote in a romantic 19th-century idiom. He composed orchestral works, songs, choral works and several works for violin and piano. In Montmartre, at that time the artists' quarter of Paris, he lived the life of a bohemian among painters, poets, sculptors and musicians. His meeting in 1894 with Saint-Georges de Bouhélier, a young poet and literary figure, was crucial, resulting in a lasting friendship and close collaboration. Thanks to this friendship, De Rosa became a regular contributor to Le Rève et L’Idée, a monthly magazine that Bouhelier and some kindred spirits had set up in 1894. As supporters of naturalism they promoted more naturalness in art. This magazine was even published a few times in Dutch. For a period of time, De Rosa's best friend Israel Querido was co-editor. In the late nineties De Rosa came into contact with well-known artists like composer Gustave Charpentier, author Emile Zola and poet Paul Verlaine. Around that time the Dreyfus affair led to serious social and political upheaval in France. De Bouhélier belonged to the small group of Zola-supporters that prevented Emile Zola from being lynched by an exhilarated crowd when leaving the courthouse. De Rosa was also active in the movement initiated by writer Anatole France, to interest the working class in art and culture through adult educational institutions. In 1897, De Rosa married Delphine Dreese, shortly after the birth of their second child. The couple would eventually have three daughters and two sons. Now he really needed to earn a living and returned with his family to Amsterdam to work again as a diamond cutter. Two years later the family moved back to Paris. In 1901 he was appointed as secretary of the Parisian diamond workers union. His friendship with Henri Polak, President of the General Dutch Diamond Workers' Union (ANDM) dates from this period. Next to art, De Rosa was engaged in social issues at any early stage. In 1901, he could focus on both interests when he became involved in the founding of the Collège d'Esthétique Moderne. This was a kind of adult education center serving as a gathering point for progressive artists and skilled workers. He gave public lectures to a socialist audience, highlighting the work of his friend De Bouhélier, among others. In 1905, he established the association Hollandia, focusing on practical help as well as cultural elevation for Dutch laborers in Paris. The majority of members were diamond workers from Amsterdam. On culturally themed evenings – ending with dance – De Rosa's music was regularly performed. Due to the crisis in the Parisian diamond industry, De Rosa and his family returned to Amsterdam in 1912. From this moment on he would remain in the Netherlands. He held various positions at the andb, primarily supporting staff at a high level and the cultural education of union members. He was present at many international conferences and meetings of diamond workers, sometimes acting as an interpreter. In 1919, De Rosa and other andb members founded the Workers' Association for Cremation (avvl). At that time cremation was relatively costly. The transportation to Westerveld (a crematorium that was barely tolerated) was too expensive for ordinary people. For that reason, the association negotiated contributions for its members that were slightly higher than those for a funeral insurance. The issue of cremation or burial was a hot topic at that time. Cremation was considered a socialist, progressive and non-religious choice. Cremation was contrary to both Christian and Jewish faiths, and strong opposition grew from religious circles. However, the number of members and sections of the avvl grew rapidly. De Rosa was editor of the association’s magazine De Urn, and spent much time in recruiting members and organizing cultural events for them. For those activities he received a fixed fee. Now that he was no longer a diamond cutter he ended his andb membership in 1924. In response, chairman Henri Polak sent him a friendly letter with mild criticism. He stated that De Rosa sometimes violated Dutch grammar and syntax. Polak offered to examine those minor mistakes ... De Rosa had only completed primary education and apparently his long stay in Paris had left its mark. Without financial worries, De Rosa now devoted time to developing his literary career. He quit composing. He translated books from French: Barbusse, Flaubert and Maeterlinck. He also made a French translation of De Jordaan (The Jordan), a four-part epic written between 1912 and 1924 by his friend and soulmate Israel Querido. In 1939, Sarah Crémieux was published, his only and mainly autobiographical novel, set in the 1920s of Parisian diamond traders and diamond workers. 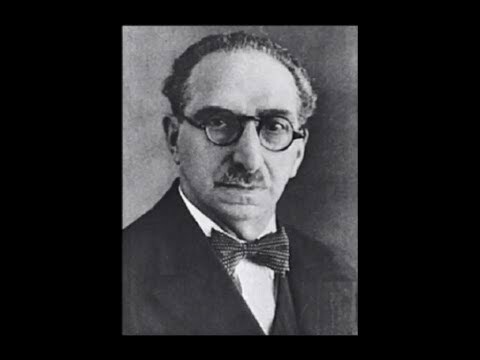 In 1941, all Jewish board members from the avvl, including De Rosa, were ordered by the Germans to “voluntarily” resign. In February 1943 he and his wife were deported by the Germans to Westerbork. Six months later they were transported to Sobibor and immediately murdered upon arrival. Andries de Rosa wrote in a 19th-century French style, somewhat akin to Gabriel Fauré and Georges Bizet, very poetic, easy on the ear and not too demanding. In his songs, he creates an enchanting atmosphere. His instrumental works are very entertaining, giving instrumentalists the opportunity to demonstrate their musicality and virtuosity. For example his Rhapsodie Orientale for violin and piano – is a work suitable for performance in a parlour.